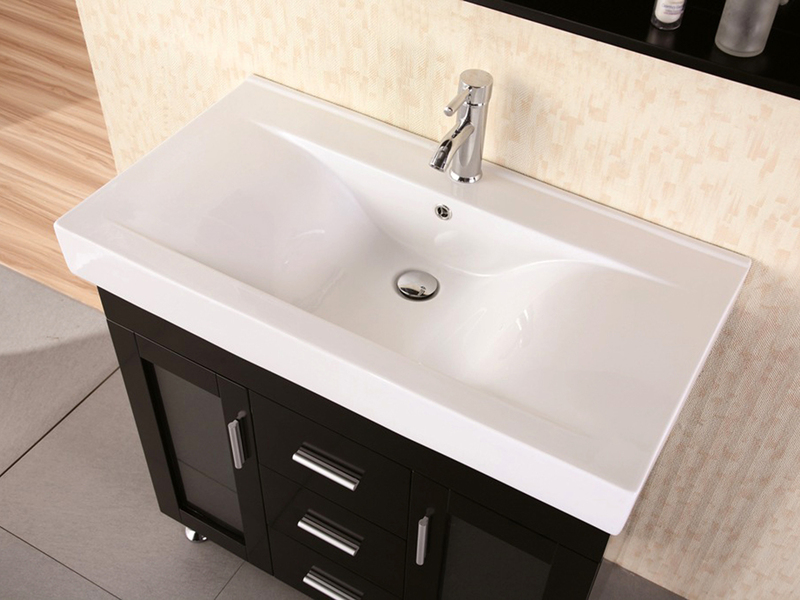 Blending functionality with modern sleekness, the 36" Milan Single Vanity brings a fresh new look to your bathroom. 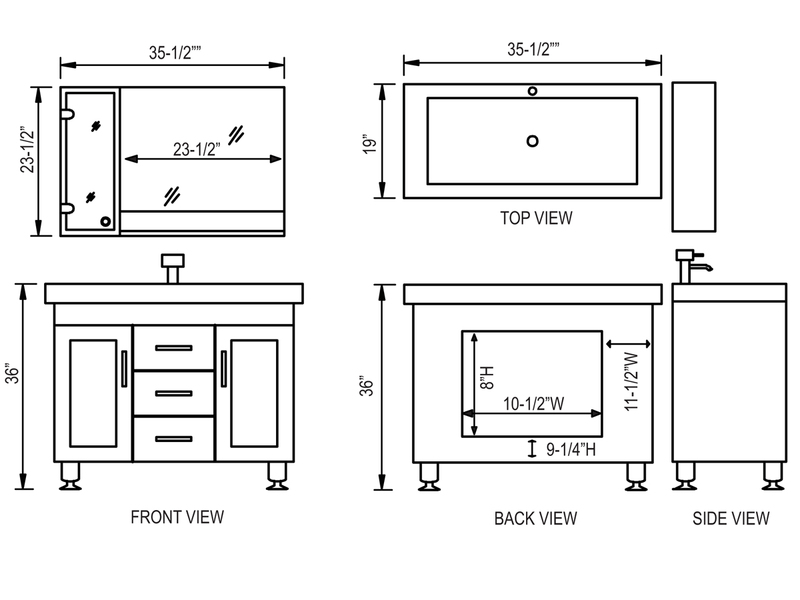 Made with a solid oak base that's finished in a deep Espresso, this vanity features a thick, integrated white porcelain sink and countertop and two functional drawers and cabinets with soft-close hinges. Its matching mirror provides a small shelf, while the matching side cabinet offers an elegant place to store all your bathroom necessities. 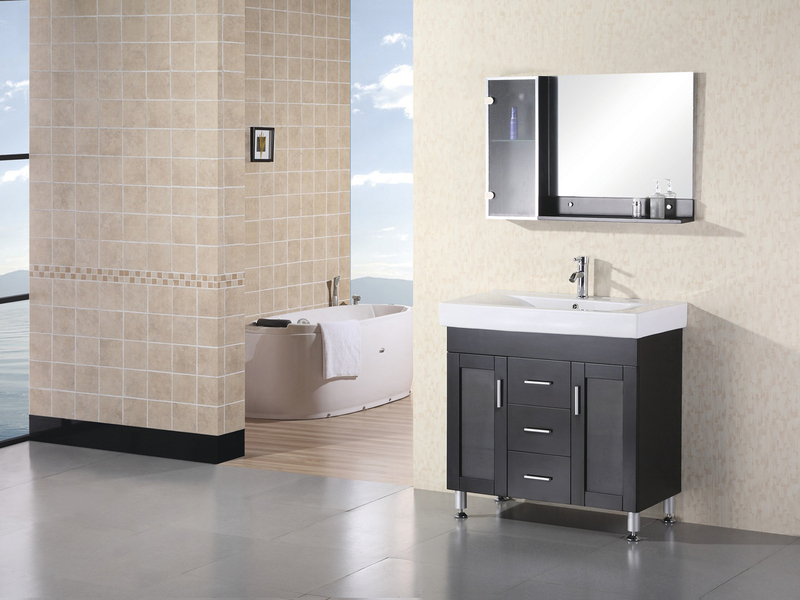 Elevated by chrome legs and accented with chrome door handles, this gorgeous vanity is here to give your bathroom a splash of modern style!